Sensoji Temple, located close to the Sumida River, is the center of the charm of Tokyo's Asakusa district and is the oldest and most famous Buddhist temple in Tokyo. Many events are held around here, but, the most famous of them, Sanja Matsuri, is one of Tokyo's biggest three festivals. The temple is dedicated to the god of mercy, Kanon. It was built after a golden statue of Kanon was fished out of the Sumida River by two brothers in 628. All attempts by the brothers to return the statue to the river failed as it always returned to them. In 645, the temple built around this statue and legend was completed. 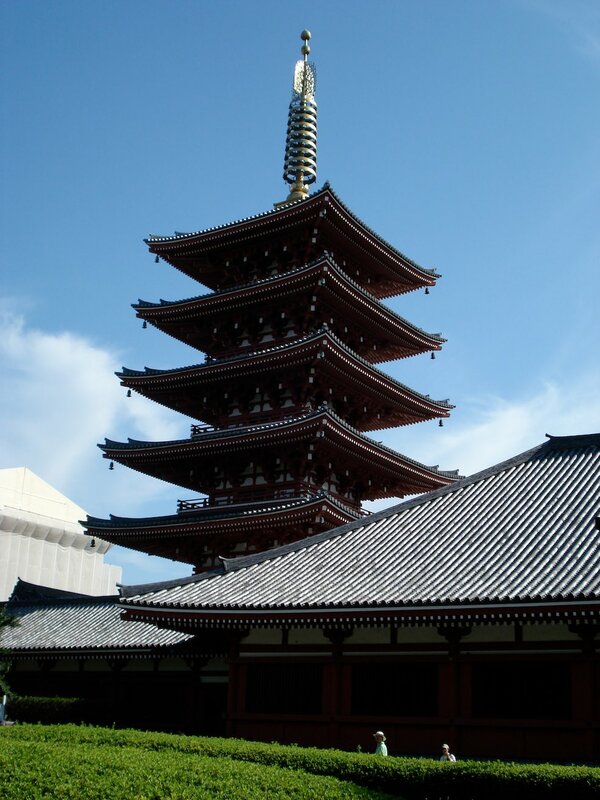 The temple's buildings were almost all destroyed in air raids on March 10, 1945 and were reconstructed after the war. 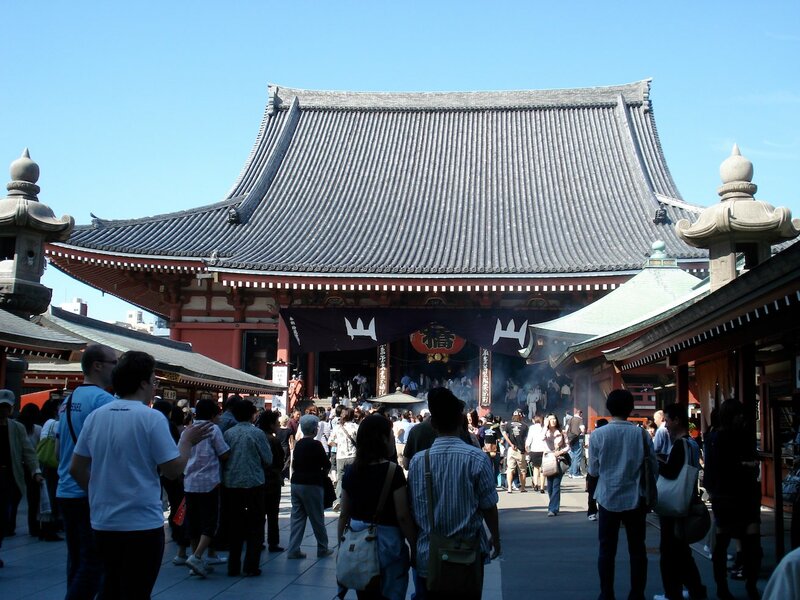 Most visitors to Asakusa will arrive on the Asakusa Subway Line. After exiting Asukusa Station, it is a short walk to the Kaminari-mon (雷門) or Thunder Gate. 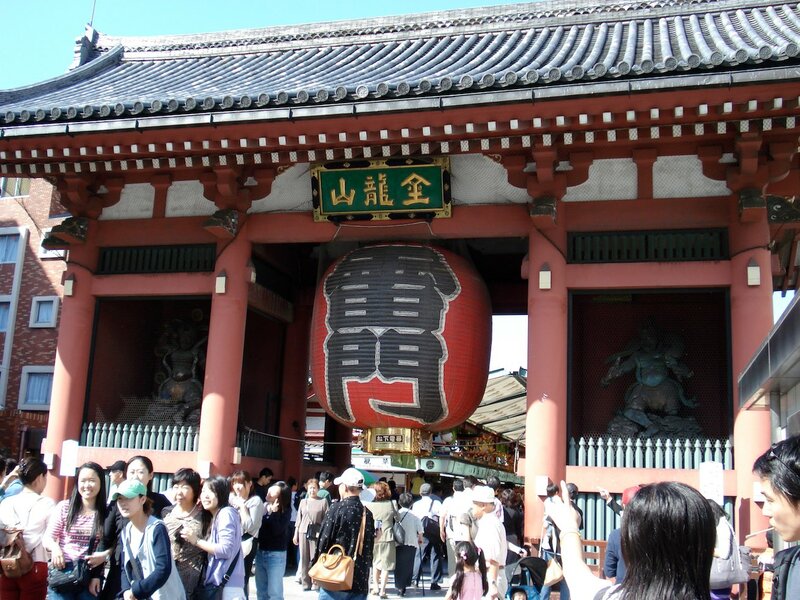 This gate is one of three entrances to Sensoji Temple. The gate is guarded by two statues of deities. The god of wind is on the right and thunder on the left. 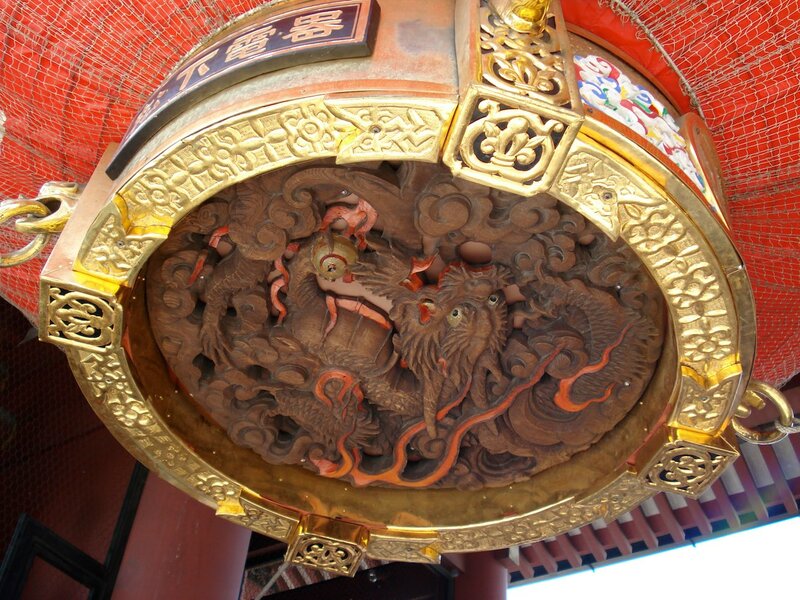 What most people walk by without noticing is the dragon carving on the base of the lantern. The gate's reconstruction was finished in 1945. 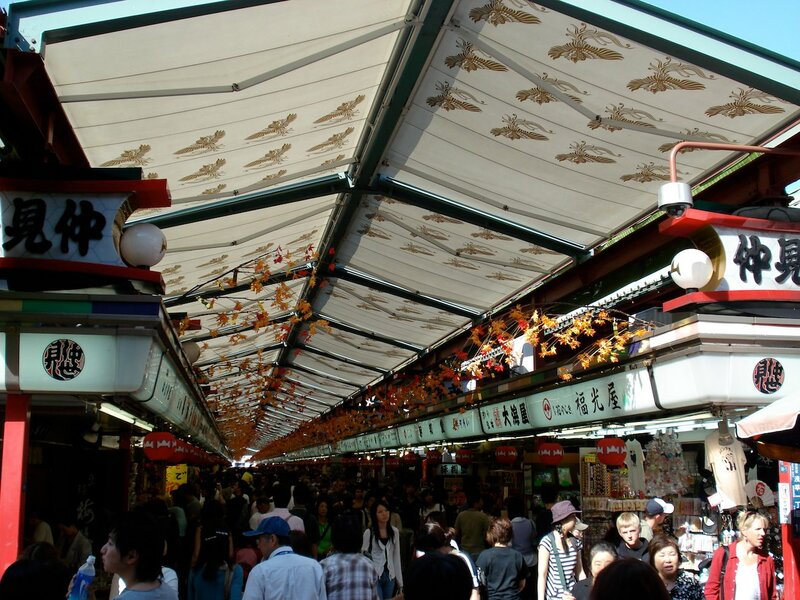 Next, visitors walk along Nakamise Shopping Arcade from the gate to the actual shrine. 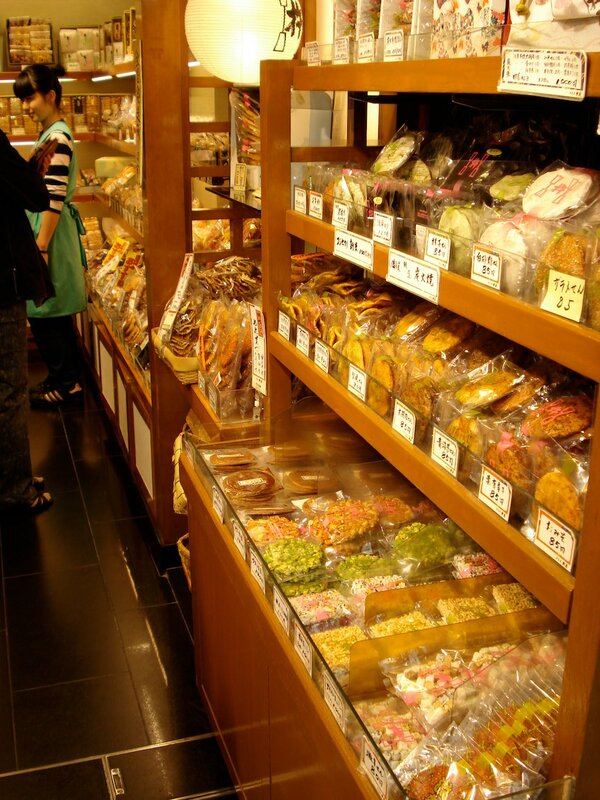 The arcade is bustling with people buying traditional Japanese snacks and trinkets from vendors on busy days. 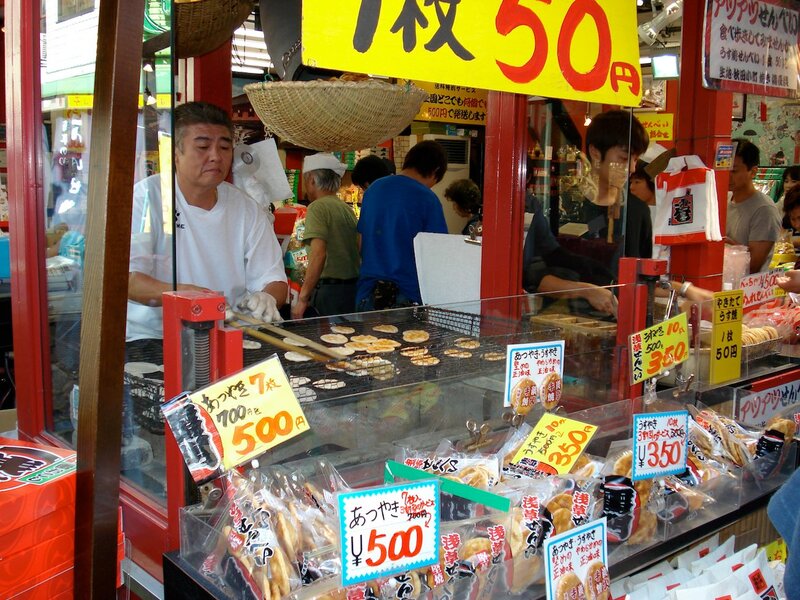 Many snack stalls demonstrate how they make it and then sell it still piping hot. 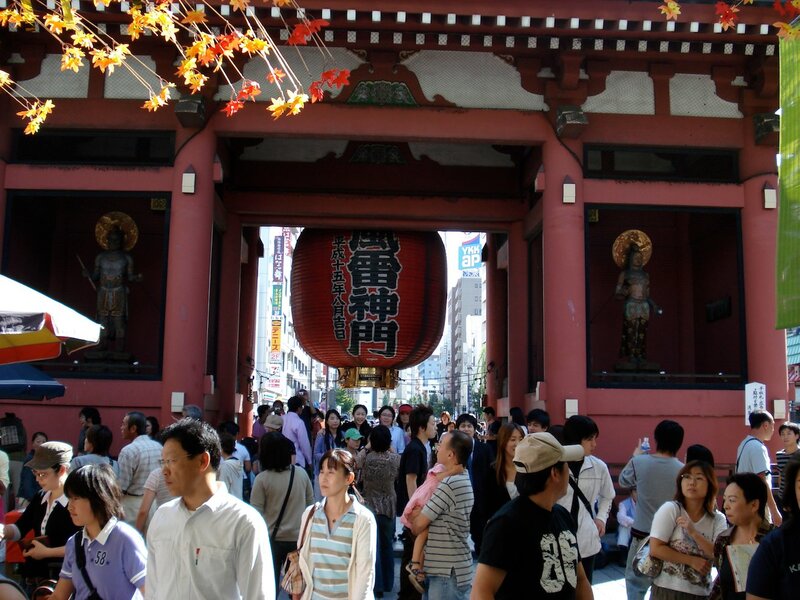 At the far end of Nakamise Street is Sensoji Temple's Hanzomon Gate (rebuilt 1964) which houses the temple's treasures. After walking through this gate you enter Sensoji's main square. Before entering the main building, cleanse yourself of the dirty world by rinsing your hands and breathing in some smoke from the incense burner. You can then enter the temple and toss a spare 5 yen coin into the donation box. The Sanja Matsuri (festival) is one of the top three held in Tokyo each year. It is an extremely lively event with a crushing number of people attending. A Mikoshi (portable shrine) is taken up Nakamise Street to the temple. It takes place in late May every year. Asakusa is east of Ueno and roughly northeast of JR Tokyo Station. 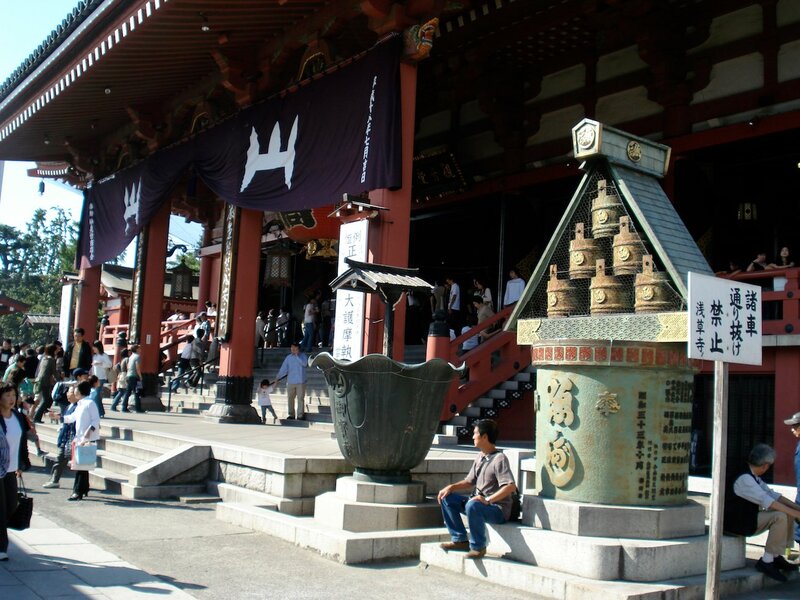 It is a short and easy to navigate walk from Asakusa Station (Tobu and Subway) to the Kaminari-mon. 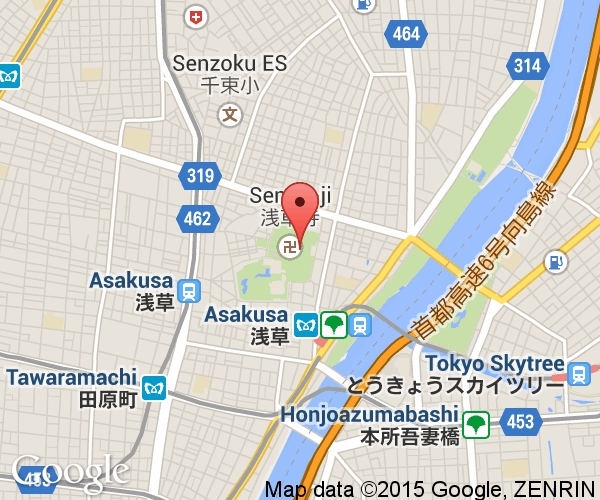 Please see the Asakusa page for more information on how to reach the area.